The founding members of Minibar paid their dues playing covers at a London Tex-Mex restaurant called Break for the Border, and that pan-cultural eatery turned out to be a fitting setting for vocalist-guitarist Simon Petty and multi-string instrumentalist Tim Walker, British musicians who loved the distinctly American music of Neil Young and Wilco. "I remember a journalist friend of mine in England gave me a copy of Being There" -- Wilco's second CD -- "on tape," says Petty. "I didn't know anything about them and was absolutely blown away. Everything suddenly made sense, like 'We are not alone!'" When Walker and Petty first played their own songs, it was during the ascendancy of Britpop in the mid-'90s; so nobody was particularly tuned in to Minibar's rootsy sound. "In London, Tim would bring out his pedal steel for sound check," says Petty from a hotel in Columbia, Mo. "Everyone would say, 'What did you bring your ironing board to the gig for?' Then he'd start playing it, and everyone started saying, 'Oh, my God! It's that thing! That sounds so good.'" 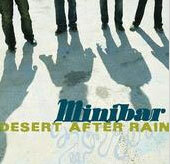 Minibar -- which plays the Fillmore in San Francisco tonight and Saturday -- made its own break for the border (or more precisely, a flight across the Atlantic) in 1999 and struck musical gold in Southern California. The band, which includes bassist Sid Jordan and drummer Malcom Cross, was signed by the Cherry Entertainment Group, a part of the Vivendi conglomerate. And it recorded its debut album, Road Movies, with producer T-Bone [Burnett]. "We very much liked the Wallflowers' album Bringing Down the Horse . . . when we were looking for producers. I knew of T-Bone" -- who produced that album -- "off of Elvis Costello's stuff, and I was like, 'This is great!'" On the liner notes to Bringing Down the Horse, however, the members of Minibar noticed there were "like, 15 additional musicians on the album," says Petty. Since Minibar is famously self-reliant on instrumentals and all members play several, they insisted [Burnett] allow them to do practically all the playing on the disc (aside from horn or string arrangements). "He was totally cool about it, but it was very necessary to say that," notes Petty. "It was very important for us to define that moment in our history as a band and say that this is what we can do." The music on Road Movies, released in April by Universal, is a hybrid of the British three-minute pop-song tradition, with its tight structure and infectious hooks, and Americana's layered vocal harmonies, expansive instrumentation and jangling momentum. The first single, "Holiday [From Myself]," takes no prisoners as it kicks into a foot-tapping sing-along chorus. "Lost in the Details" contrasts strummed acoustic with electric guitars under Petty's hardened yet yearning vocal line and Cross's drumming. "Sheer Volume of Traffic" features Walker's ghostly pedal-steel sound and Jordan's discreet bass line. Though success has come rather late for the early-30-ish Manchester native, Petty says it's good to have a record contract now that his musical skills and concepts are well-developed. He finds that working with Walker for more than seven years also has helped. "There's something to be said for letting a band do a good part of it's work before they actually get to a point where they get committed to record. And I think that's one of the reasons I'm happy with Road Movies now, because we thrashed it out." Since the move to Los Angeles, Minibar has toured with an A-list of like-minded bands, including the Jayhawks, the Wallflowers and the Mother Hips. At the Fillmore, Minibar opens for Old 97's. "The first time I actually saw Wilco was when we played with them at the Fillmore," notes Petty. "The gig went really well, too, and it was all very, very cool -- about the best all-around night for the band ever."